Concots is situated in the Lot department. The department lies to the north of the Midi-Pyrénées region, in the southwest of France. Click here for the exact location. Concots is a charming little village with approximately 320 inhabitants. In Concots you’ll find a bar, two restaurants and a bakery combined with a small shop. 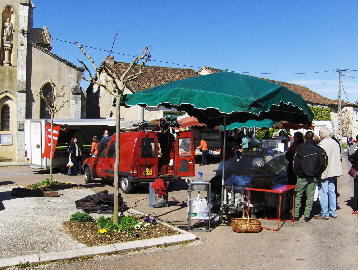 Each Sunday a traditional market is held there. Furthermore, Concots offers a public tennis court. Eight kilometers from Concots. near one of France’s most beautiful villages, Saint-Cirq-Lapopie, a river-side beach can be found where one can relax, sunbathe and swim. The Lot department offers a varied landscape with medieval villages, fortresses, caves and castles. 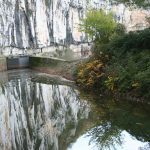 Situated along the Lot river are some of France’s most beautiful villages, built into the rock with a fantastic view over the river and the environment. Everything here breathes a rural peace and quiet. 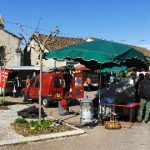 For people looking for peace, tasty food, French rural culture and for history enthusiasts the Lot is a fine place to start. But active people too will find plenty of possibilities in the Lot area with its bike and hiking routes and the various possibilities for horseback riders. The many rivers and lakes allow for fishing, or canoe and kayak trips. Another possibility is a tour through the nice Lot-valley, along the meanders of the Lot river. There one drives through fine medieval fillages such as Cajarc, past old fortresses and nice villages such as Saint-Cirq-Lapopie, one of the most beautiful villages in France. Furthermore a tour (by car or bike) of the Cahors wineries makes a decent activity. The Lot department is blessed with a moderate climate and pleasant temperatures throughout the entire year. Plenty of sun in summer and mild winters. What’s today’s weather in Concots? Well-known local dishes are ”daube de boeuf” – a tasty beef stew – and ”cassoulet” – a single-pan meal consisting of white beans and various types of sausages and meat. The area is also known for its geese and ducks, for amongst other things confit (legs cooked slowly, at a low temperature), goats for cheese and the production of walnuts and truffles. The second are sold during the winter months, for prices of up to € 700 per kilogram. Local wines include le vin de Cahors and le vin des côteaux du Quercy. In this department people still each day take the time to actually enjoy their meals, at home or at one of the many restaurants. For a sum of between € 15 and € 20 per person one can enjoy a 3- to 4-geese menu with a carafe of local wine and a cup of coffee to close with. Cahors is nicely located, near the Lot river which can be crossed by means of the reinforced bridge Pont Valentré, the breathtaking city symbol. Local legend has it that the bridge build’s foreman made a deal with the devil to be able to complete the bridge, but was able to retain his eternal soul using a ruse. The city is known for its truffles, the market on Saturday mornings and the dark, intoxicating Cahors wine. The main street, Boulevard Gambetta, looks inviting with its platanus trees, bars, restaurants and shops. To the east of the Boulevard Gambette lies the old neighborhood, with houses that remind of a glorious past and the Roman Cathédrale St.-Etienne. The cathedral is one of the most original dome-churches in southwestern France. The best part of the cathedral is the 16th century tympanum above the northern door, on which the ascension of Christ, carried by angels, is shown. At the office de tourisme you will find (usually free) information and walking routes to discover the city, including using an unusual walking route past 30 different gardens hidden in the various corners of the city’s old neighborhoods. Besides its warm ambiance, Figeac offers an exceptionally well preserved heritage consisting of medieval houses and palaces, which were built between the 12th and 14th centuries by rich Figeac merchants. Also located in Figneac is the Champollion Museum, which is dedicated to Egyptian art. Extensive information is gladly offered by the city’s office de tourisme. Located 8 km from Concots is the famous village of Saint-Cirq-Lapopie. Saint-Cirq-Lapopie is a medieval village which was built at a height of 390 meters against a steep rock wall. Saint-Cirq-Lapopie is located exceptionally well, at the Lot river. Here a beach has been created, where one can swim and enjoy recreation. Saint-Cirq-Lapopie is a sight, consisting of small timber-framed houses, a Roman church and ruins located at the highest point. Along the Lot river lies Chemin d’halage, which be visited with a beautiful hike along the trail following the river. The description of this hike can be found at Maison Riante. 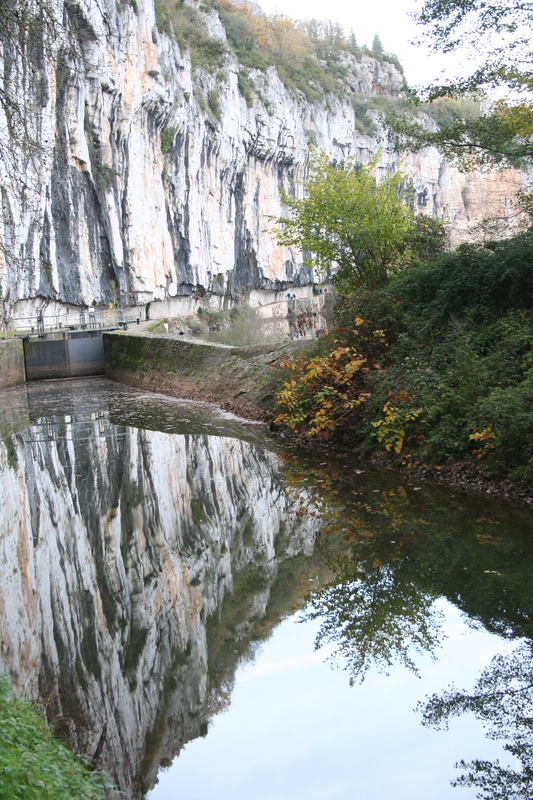 The cave of Pech Merle lies in the valley of the Célé river, near the village Cabrerets. In the two-kilometer long cave prehistoric murals can be found, which are counted among the best looking in France. Furthermore, it is a beautiful stalactite-featuring cave. In the cave one can admire, amongst other things, drawings of oxen, horses, mammoths, deer and figures of which the meaning is unknown. 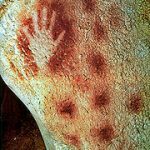 Furthermore one will find in these caves stenciled hand-prints, drawings of people and a number of fossilized footprints. 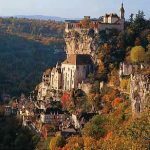 Moissac and Conques (both within 80 kilometers of Concots) might be the most important centers of Roman art, but Rocamadour is without doubt deserving of the accolade ‘dazzling city’. At one side, this city hangs from an overhanging rock face, at the other on the Alzou canyon. Here large numbers of people gathered to worship the Black Virgin. The draw of this holy place, which looks out over meandering brown roofs, solid doors, churches and shrines hasn’t lost any of its splendor. 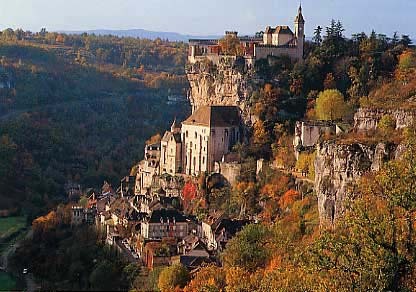 Rocamadour is naturally home to the production of the world-famous and delicious Rocamadour cheese. Gouffre de Padirac is one of France’s most impressive caves. The entrance to the cave is a gigantic hole 50 meters in diameter and 100 meters deep. 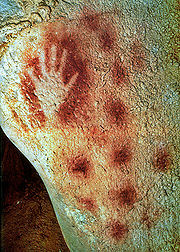 From there one departs, first by boat and later on foot, to discover the caves. This is one sight that shouldn’t be missed!